A strong environment of diversity and inclusion — in background, culture and experience — is an inherent and critical part of the CVM’s academic mission. 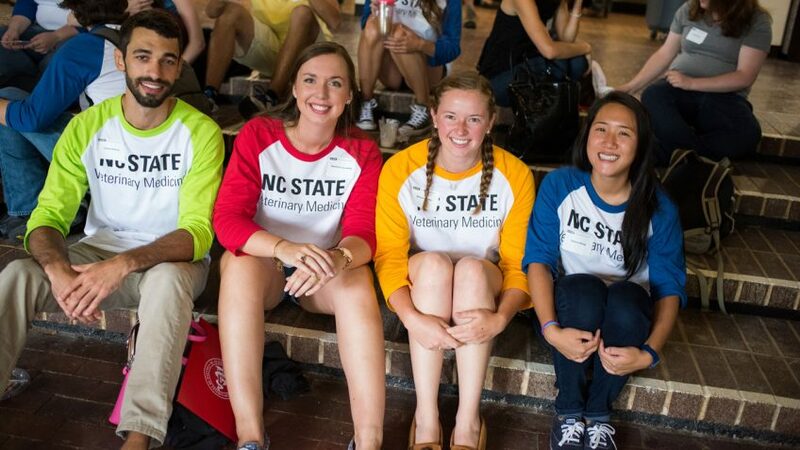 The NC State College of Veterinary Medicine has been selected for a new program designed to foster greater inclusion and diversity in the admissions process. The CVM was one of just three schools nationwide chosen by the Association of American Veterinary Medical Colleges to take part in the organization’s pilot holistic admissions development program. Holistic admissions, which the AAVMC describes as a growing approach used by an array of health professions, still evaluates academic performance and aptitude as part of the admissions process, but also considers such attributes as leadership and communication skills, ethical standards, proven workplace success, empathy and resilience. A study co-funded by the National Institute on Minority Health and Health Disparities found that a majority of schools using a holistic admissions review reported increases in race, ethnicity and gender diversity, but also diversity of life experiences and perspectives. The study looked at 104 public universities in 45 states. “Our graduates need to deliver veterinary care and veterinary science throughout the country and the world, and our chances of doing that are far greater if we can build diversity of our profession,” Lunn said in a recent message to the CVM community. The AAVMC said in a press release that it will work closely over the next 12 to 18 months with schools chosen for the program, offering training, policy development and program review. The University of Florida College of Veterinary Medicine and the University of Missouri College of Veterinary Medicine were also selected for the program. Schools were chosen based on leadership’s commitment to greater diversity in a college’s climate and curriculum, willingness to closely examine their admissions process and a “sincere desire to pursue change,” according to the AAVMC. For more information on the CVM’s commitment to diversity and inclusion, go here.